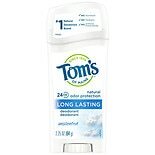 Shop Tom's of Maine Natural Long Lasting Natural Deodorant Unscented (2.25 oz. )2.25 oz. 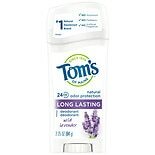 Shop Tom's of Maine Natural Long Lasting Natural Deodorant Lavender (2.25 oz. )2.25 oz.